Experience makes us innovative, and our pragmatic approach produces visionary results. According to this principle we are exclusively generating high-tech solutions which illustrate our acquired competence and convince through the originality and functionality of the concept. 1967 Engineer Edmund Pietrowski founded the IBEG GmbH company in Düsseldorf, Germany. Already then he was a well known design engineer who accomplished groundbreaking developments for tank cars. Initially IBEG is solely an engineering firm. 1969 IBEG develops special rail freight cars which are built in Finland for heavy duty operation in Russia. 1970 Then IBEG plans its own production plant in Marl. 1971 IBEG starts the production. 1972 A variety of diverse armatures for tank cars are produced. 1973 Transport protection equipment for freight cars are produced for most of Europe. 1974 The production of entry systems begins. The first electromechanical three-step entry systems are produced. Over the course of the following years more than 1,000 of these systems are delivered. 1975 IBEG’s success in developing entry systems is noticed everywhere. IBEG becomes the problem solver and continues to develop further entry step systems. 1978 In addition IBEG now designs and produces other systems for street cars.During the next years heating and air conditioning systems, exterior mirrors, battery rails and much more follow. 1980 Peter Pietrowski joins the family enterprise. 1980 The first electromechanic four-step entry system is developed by IBEG. The production begins in 1981. 1981 IBEG develops a pneumatic four-step entry system. During the consecutive years more than 3,000 of these systems are produced. 1982 The first entry step systems for North America are in production. 1983 A new sanding system is developed in cooperation with the transit authority of Duisburg . 1984 IBEG produces and delivers the first sanding systems with a sand step. During the following 20 years about 20,000 of these systems are in operation all over the world. 1985 IBEG designs and manufactures the first bogie measuring test stands for the transit authorities of Hongkong and Melbourne. 1986 A completely innovative electromechanical four-step entry system is developed for the transit authority of Essen, Germany. 1986 IBEG develops and manufactures high security tank cars for the transport of especially hazardous goods. 1988 IBEG starts to design handicap lifts for busses. The first systems are used by the Berlin transit authority. 1989 The development of handicap ramps begins. 1990 The introduction of low floor street cars starts the development of entirely new systems. 1991 The vehicle manufacturers make big mistakes in the development of their own sanding systems for low floor trams. It is far too late when IBEG is contacted to help solve these problems. Only in 1994 after great design efforts IBEG succeeds in offering a safe system. 1992 IBEG designs and manufactures the first sliding steps for low floor street cars. 1993 For the transit authority in Essen IBEG develops and builds the first under-floor measuring system with an integrated wheel profile measuring device. 1994 IBEG establishes an office in the United States. The location is Atlanta, Georgia. From here IBEG delivers sanding systems for vehicles in Portland and Los Angeles. 1995 So-called after-blow units are developed and offered for the sanding systems. This is dramatically improving the functionality and operating safety. 1996 A handheld measuring device for wheel profile gauging is developed and produced for the Berlin transit authority. 1997 IBEG USA moves to Cleveland, Ohio. 1998 Up to 2,000 sanding systems are produced annually. 1999 In the following years IBEG USA gets orders for sanding systems in Calgary, Portland, Denver. For the most part, the equipment is manufactured in Akron. In 2001 Tom Kish is taking over the business management. 2000 IBEG develops a mobile sand refill system. 2001 A new entry step system for the vehicles in Cologne is developed. 2001 The design of a completely innovative sanding system starts. 2002 The first sanding systems with a so-called jet-stream are delivered. 2003 The successive system for the jet-stream, the SandStream, is introduced. Simultaneously, further improvements are engineered. At the end of 2003 the V-stream is put on the market. IBEG develops its own compact compressor for the operation of the sanding systems. For easy maintenance a cleanout system for the sanding equipment is developed . 2004 IBEG compressors are introduced, and until the end of 2004 almost 1,000 units are delivered. 2005 IBEG develops a self-cleaning sand nozzle. The variety of compressors is expanded. IBEG designs video surveillance systems. 2006 IBEG stays abreast of the strongly growing US market. The US headquarters for IBEG Inc. is established in Atlanta, Georgia. Kurt Boehni is taking over the company management. 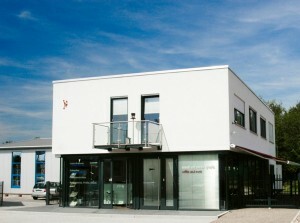 2006 IBEG systems GmbH in Germany moves into the newly built business premises. 2007 A new manually retractable ramp with a low construction height made of innovative material is introduced. 2009 R2 – the second generation of ramps with an especially low construction height are introducedSF2 – a revised version of the mobile sand refill system is introduced in SwitzerlandQ-comp CL, S and HE – the IBEG compact compressors are revised and become even more efficient and smaller in design.IBEG Schweiz GmbH located in Thun is established. 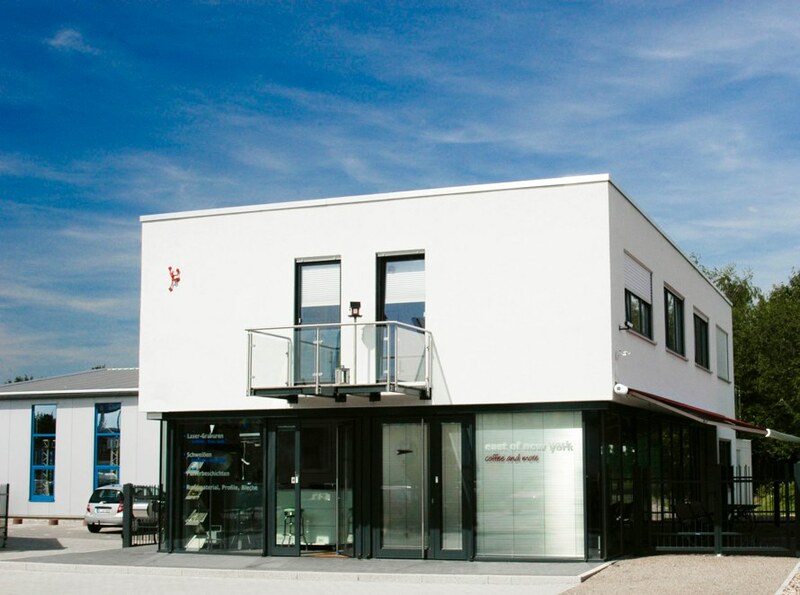 Managing director is Marco Kellenberger, who has dealt with IBEG products in Switzerland for more than 10 years. 2010 A revolutionary new development in the field of sanding systems: “IBEG Sand Maid” is introduced into the market. 2010 Following a “back to the roots” – strategy, IBEG is being adapted to international market requirements. The swiss office must be abandoned in the process. 2010 As part of a reorientation process, the IBEG website is completely redesigned. 2010 In the process of optimizing efficiency, to react to unstable exchange rates and to optimize our position in the North American market, a change in the organizational structure of the company is necessary. The Atlanta Office will be closed in favor of a new Office in North-East USA. A “Sales and Services Center” will be founded. 2011 “Back to the roots” is the new slogan for the year 2011. IBEG Marl returns to producing in its own facilities. A computer controlled manufacturing center for producing the Q-Comp is ordered and will be put into operation in the first quarter of 2012. 2011 IBEG management in the US market will be redefined: IBEG Inc. in Atlanta was closed and Kurt Boehni, who worked in IBEG accounting for 4 years (2006 to 2011), has left the company. We thank Mr. Boehni for his work. The “IBEG Sales and Services Center” in Akron, Ohio is founded. Tom Kish, who works with us since 1998 now, takes control of the new service center. 2011 “Sand Cube”, the new IBEG sanding system, is a universal system for most vehicle designs. The great advantage of this innovation is more than 60% of the production effort is local. That means, that we can offer a system to our worldwide reseller network that can be manufactured in the according state. 2011 A new sanding nozzle (IBEG SN) is developed. At the beginning of 2012 it will replace the current version. The new system is fully compatible with the old one and will be an advantage for all customers. 2011 On 11/27/2011 our founder, Edmund Pietrowski, passed away after 89 years. He was full admiration and inspired all- he was an impressive man and an ingenious engineer. We will miss him very much! 2012 IBEG Sandmaid – euipped with individually interchangeable sand containers is intruduced in April. The Sandmaid is fit for installation inside and outside of the vehicle. 2012 The IBEG Q-comp compressor series is supplemented by a more powerful version, wich we offer as the “Icomp”. It is released in December. 2012 Preparations for the IBEG online shop are completed and the testing started in August. In early 2013, the shop will be avaiable on the IBEG website. 2012 At the world’s largest railroud tradefair, Innotrans Berlin, we present the innovations of the year 2012 to the public. 2013 The IBEG Sanding Nozzle, developed by IBEG in 1995, is completely redesigned. It is now called IBEG SN and replaces our old model while being completely compatible. 2013 IBEG heating and ventilation systems for passenger’s compartments and driver’s cabins now feature a stainless steel hull. 2013 A very economical Version of the IBEG sanding systems is introduced to the market. This version is called the “Base” system. 2014 In 1994 IBEG began to deliver the first sanding systems for Portalnd, Oregon. Shortly after that, a 20 years lasting stream of success for IBEG sanding systems in North America followed. Now, after that period, we are upgrading the vehicles in Portland to our new BASE Sanding Systems. That’s a great achievement and we celebrate it – with a shout-out: “Thanks for your vote in confidence!” to Portland!The new vehicles for Charlotte, Noth Carolina are also upgraded with the IBEG BASE System.At InnoTrans 2014 in Berlin we present a sand flow rate sensor to the world, that registers the smallest fluctuations in flow rate. This sensor earned lots of attention and shows our potential for innovation and performance. The “City of London” trusts our experience regarding refurbishing. 2016 Almost 20 years ago, IBEG developed and produced the sanding system for COMBINO – now these systems can transformed into a modern V-Stream with a Q-comp with just a few adaptions. There is huge potential for saving money! The first Q-Comp are delivered to China. The 3rd generation of Q-Comps (3G) are hitting the market place in time for InnoTrans in Berlin. The 4th Generation (4G) is already introduced there. IBEG now offers all key components for .sanding systems. This puts the customer in a position to assemble the whole system on site – which is the future for international markets! 2018 New ready-to-install retrofit kits are delivered to the public transportation authority Bern (CH). These units are used to update older sanding systems. A new branch location opens at the US west coast. IBEG continues to export Q-comp 3 GS to China. Brookville Street Car Division orders complete IBEG sanding system units.